Every Costco shopper can attest to falling prey to the trap of the rotisserie chicken. You know how the story plays out. You are almost finished filling your shopping cart to overflowing with all of your favorite products in bulk. You’re tired, you’re trying to decide what on earth you will make for dinner. About this time, you pass by the golden-brown rotisserie chickens turning slowly on the spit. They call out to you. It seems like you have found the perfect solution to your dinner dilemma. To top it off, these plump and juicy chickens are available for the bargain price of $4.99. Problem solved, right? We all know Costco rotisserie chickens are economically priced, convenient, and undeniably delicious. It’s items like this that often convince people a Costco membership is worth the price. However, with all of the push for healthy eating these days, many consumers are left wondering if they are the healthiest option. Perhaps one of the reasons the Costco rotisserie chickens are so tasty is because they are juicy and plump. This is probably due to the fact that there is a quicker turnover rate at Costco than at a lot of other stores which offer rotisserie chickens. Costco only leaves its chickens on the spit for two hours, then they are taken to the back and used in other recipes. The fact that they are not left to turn on the spit for hours on end means that they will be less dry, so that is something in their favor. They are also said to contain no preservatives, MSG’s, gluten, artificial flavors, or artificial colors. As for nutrition information, Costco rotisserie chickens also have 460mg of salt in a 3 oz. serving, so those needing to watch their sodium intake may want to take note. They are also high in cholesterol, but fairly low in sugar. The chickens are brined, which is what makes them so juicy and tender, but it is also the cause of the large amount of sodium per serving. Despite the fact that the chickens are rather , they are an excellent protein source, and as long as you don’t eat the skin; they are a lower-fat meat option. To show just how popular the Costco rotisserie chicken is, one only needs to do a brief internet search. There are seemingly unlimited sites discussing the pros and cons of the Costco chicken. Did you know that the Costco rotisserie chicken even has its own Facebook page with about 4,500 likes? The Facebook page is full of comments from Costco chicken consumers. It is also loaded with a plethora of recipes for things you can do with the chickens. A couple of years ago, despite disappointing financial results, Costco refused to raise the $4.99 price tag on its chickens. Consumers of the Costco chicken were grateful, as it seems the prices of so many things keep rising. 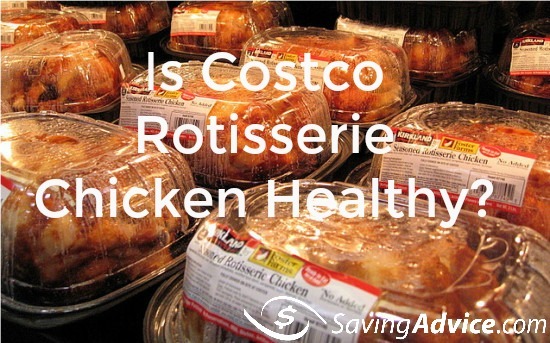 So, what is the takeaway on the question of whether the Costco chickens are healthy or not? It seems like most things in life, moderation is key. While the cholesterol and sodium levels should be concern enough for you not to consume the chicken on a daily basis, every once in a while, a Costco chicken can be an acceptable meal. It is a great protein source, and there are very few meals which you can feed your family for the bargain price of $4.99. For other great products you can buy at Costco check these articles out. How Much Is a Gallon of Milk at Costco? Is It Better to Let Your Phone Die? We’ve all had the experience of looking at our phone, realizing that our battery is about to go dead, and having a moment of panic. Our cell phones today are used for so much more than making phone calls. They are basically mini-computers in our pockets. We can check email, cruise social media sites, use the map app to figure out where we are going, send text messages, and, of course, make phone calls. We have all become so dependent upon these gadgets that we are always looking for new ways to make our batteries last. Although technology is changing and improving our electronic devices, what we know about battery technology, and what makes them function, hasn’t recently changed a whole lot. There is no new battery technology, so the best way to keep them working up to optimum ability is to learn how to extend the battery’s life. In cruising the internet, you will find a variety of conflicting information about the best way to care for your battery. It can be confusing, but there are some easy tips to follow to avoid the hassles of a dead battery. Perhaps you have heard of “battery memory.” This is the process of allowing your battery to drain completely then recharging it to full capacity so that your battery remembers its full potential. Although battery memory is a real thing, it applies to nickel-based batteries. More than likely, the battery in your electronic device is a lithium-ion battery, and this principle does not apply, and can, in fact, harm your battery. According to experts, the best way to care for a lithium-ion battery is to “top it off” as often as you are able. Your goal should be to keep your battery above 50% capacity as often as possible. On the flip side, you will serve your lithium-ion battery best by unplugging your phone from the charger before it reaches 100% capacity as well. Phone batteries today apparently run best when not completely charged to full capacity. If you leave your phone charging after the battery is full, you run the risk of causing some battery degradation. The general rule of thumb is that batteries last the longest when they are charged between 40%-80%. This range is your battery’s “happy place”, and if kept within this range, it has the best chance of serving you for as long as possible. The typical lifespan of a lithium-ion laptop battery is not as long as one might hope. In reality, it is only about 18 months to 2 years. One important fact to keep in mind is that if you allow your battery to discharge completely to 0% and do not recharge it for an extended period of time (several weeks), it may die completely and become incapable of being recharged. Another thing to consider is the environment in which your battery is being kept. You should try not to allow your phone battery to become too hot. Heat is a damaging factor to battery life. 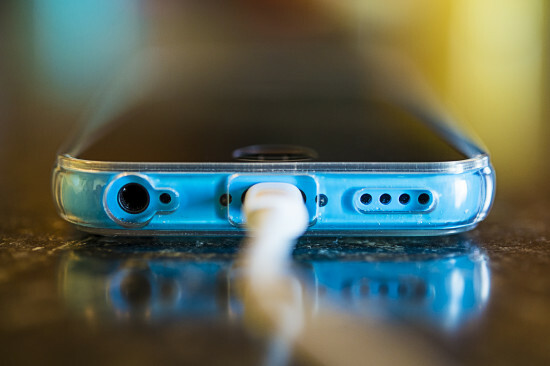 Your battery will lose some of its maximum capacity if it is allowed to become too hot, so avoid leaving your phone in hot environments (such as your car) for extended periods of time. This applies to extremely cold temperatures as well. Your battery works best if not left in extreme temperatures. Although all batteries eventually die, following these tips may help extend your battery’s lifespan. As our phones and laptops become more and more a part of our daily lives, learning how to extend your battery’s life is an invaluable tool. Walmart is known for its low prices, great deals, being open almost every day of the year and one-stop shopping convenience. Millions of people visit Walmart stores nationwide each and every day. Walmart offers home goods, health and beauty products, clothing, toys, auto care, eye care, and even groceries. For those who get paid by check and may not have a bank account, a question that often comes up is, “Does Walmart cash checks?” The answer is, “Yes.” While many may not be aware of it, one of the extra conveniences Walmart offers shoppers is their in-store check cashing options. Walmart gives its customers the freedom to cash a check during their shopping trip without ever having to leave the store. This convenience will save customers an extra trip to the bank (or give them a much less costly option than a check cashing business if they don’t have a bank account) if they are so inclined to use it. Walmart does have some stipulations on check cashing, however, and it is always a good idea to call your local store to find out the specific policy of that particular location. For check cashing at Walmart, there is a maximum cash limit of $5000. Walmart also charges a $3 fee for checks up to and including $1000, and there is a $6 charge for checks over $1000 and up to and including $5000. Check cashing is only done on pre-printed checks. Checks are cashed only upon approval, and each check is subject to Walmart’s authorization. Some types of checks that Walmart cashes are payroll checks, government checks, tax checks, cashier’s checks, insurance settlement checks, 401K retirement disbursement checks, and Money Gram money orders which were previously purchased at Walmart stores. For check cashing, there is no registration required. Customers can get their cash immediately, and checks may be cashed at any checkout lane. Checks may be traditionally cashed, or the money amount may be put onto a Walmart Money Card. There are a number of types of Money Cards. The cards may be used like a credit card up to the monetary amount which is loaded onto the card. The types of Money Cards offered are Basic, Plus, Specialty, and Preferred. Each card has a different service fee, and may be re-loaded. All card options charge a $3 re-loading fee except for the Preferred card, which offers no fee to re-load. Walmart also offers a Walmart MasterCard credit card (based upon approval). One of the perks of the credit card is the ability to earn $5 for every $500 spent. The card charges no annual fee, cardholders can earn gas discounts, and fraud protection is offered by an EMV chip which is installed onto the card. Walmart shoppers can also take advantage of check printing, money transfers, auto insurance, bill pay, and money order purchases. Walmart also has a program called Bluebird, which is an alternative to traditional banking. Bluebird has flexible features, including direct deposit, online bill pay, mobile bill pay, and mobile check deposit. With a variety of check cashing options and various forms of money management services, Walmart definitely offers its customers one-stop shopping convenience. Most Walmart customers are more than likely unaware of all of the financial options available at their local Walmart stores. Walmart shoppers are sure to enjoy the convenience of being able to take care of their financial matters at the place where they are already shopping. Does Walmart Cash Checks on Sunday? Yes, Walmart cashes checks on Sunday. Since many banks are closed on Sundays (with a few exceptions), Walmart can be a good option if you need a checked cashed on a Sunday. Does Walmart Cash Checks on Holidays? Yes, Walmart cashes checks on most holidays. Since Walmart is open every day of the year except Christmas Day, you can cash a check there when banks and other financial institutions are closed. You can cash checks on holidays such as New Year’s Day, Martin Luther King Jr. Birthday, Valentine’s Day, President’s Day, Easter, Mother’s Day, Memorial Day, 4th of July, Labor Day, Columbus Day, Halloween, Veteran’s Day, Thanksgiving Day, and Christmas Eve. No, Walmart doesn’t cash personal checks. While Walmart does cash checks from business sources such as payroll, government, tax, cashier’s, and insurance settlement, 401K retirement disbursement checks, Walmart doesn’t cash personal checks. Does Walmart Cash Third-Party Checks? 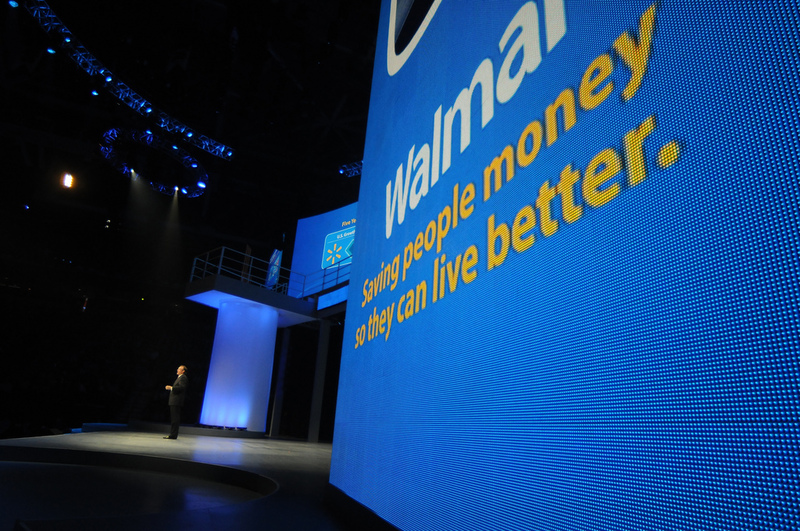 No, Walmart doesn’t cash third-party checks. If you have a third-party check you need to be cashed, you’ll have to find a place other than Walmart, as they won’t cash third-party checks at their stores.